Wastewater and stormwater can be used to augment the amount of natural recharge that an aquifer receives, offsetting withdrawals for domestic, irrigation, and industrial uses. Recharging these water sources into an aquifer can be a cost-effective, innovative method for managing them. Unfortunately, because they often contain high concentrations of nitrates, salts, and other constituents that can impact water quality, thorough assessments are typically required before allowing them to recharge an aquifer via infiltration or injection. Pacific Groundwater Group has helped many clients assess the chemical, hydraulic, and regulatory issues associated with recharging waters of impaired quality. We use a variety of analytical approaches, including sophisticated digital models, to understand the potential impacts of mixing wastewater and stormwater with groundwater. 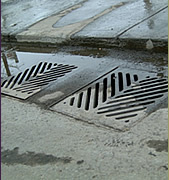 We encourage you to browse a few case studies to learn about our solutions for assessing the impacts of recharging wastewater and stormwater.